I am almost late with a post on Pantone's choice of colour for 2017. In fact, I have been inspired by a noted real estate company, Douglas Elliman Florida in connection with their greenery project. Good companies always take care of their clients; great companies always offer more than you would expect. Any good real estate company knows what they offer is much more than an apartment or a house - they are here to find your new home. And a home is never complete without the owner's personality and style. And style is always influenced by trends. I am happy to introduce you this year's trend colour called greenery, a refreshing and bright shade of yellow-green. As Pantone says, greenery is symbolic of new beginnings. As spring is a new beginning, too, this post is just on time. It is also said that greenery is nature's neutral. In interior design, however, it is just the opposite. It is a very bright colour. and although we do love spending time outdoors, enjoying lush greens around us, having only greens in our home can be overwhelming. 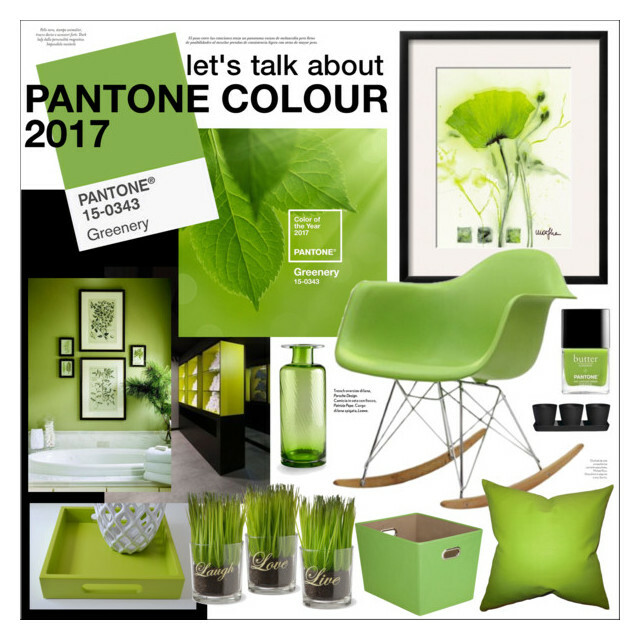 With the help of real plants you can easily bring green into your home, but if you think you it is just not enough, in my next three posts I will show you several possible ways to style the colour of 2017.